Want to buy event tickets? Click here! Our next Locals' Night is coming up soon! 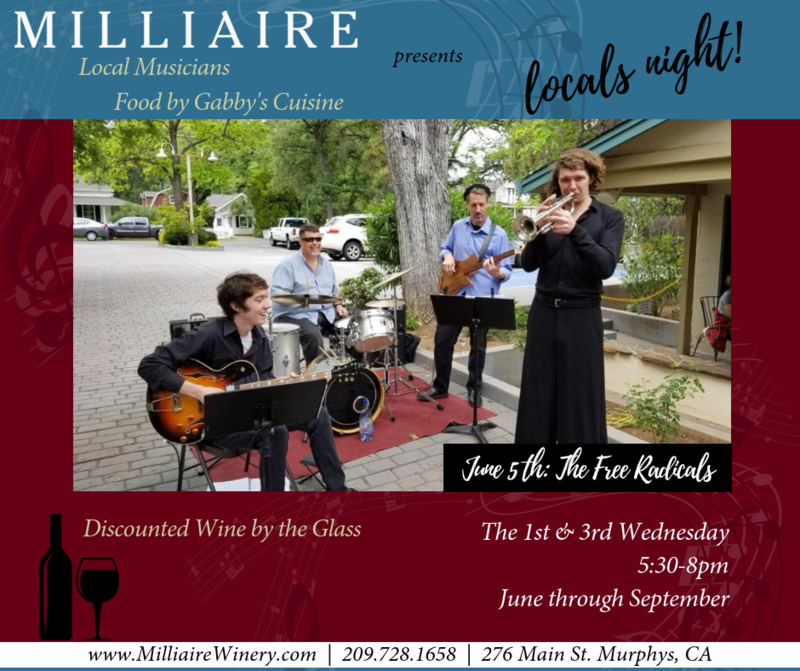 Join us June 5th for live music by The Free Radicals! Our next Locals' Night is coming up soon! 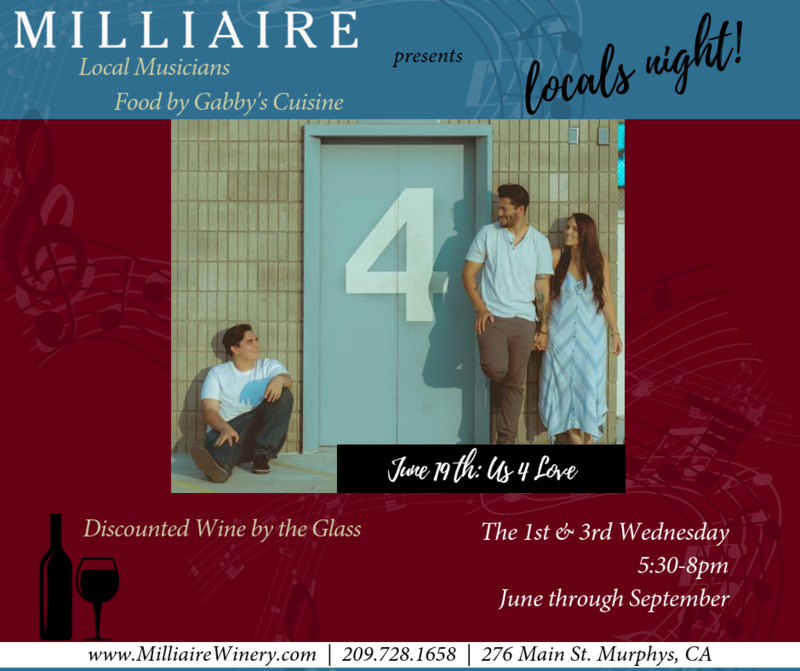 Join us June 19th for live music by Us 4 Love! Our next Locals' Night is coming up soon! Join us July 3rd for live music by Grover Anderson! Our next Locals' Night is coming up soon! 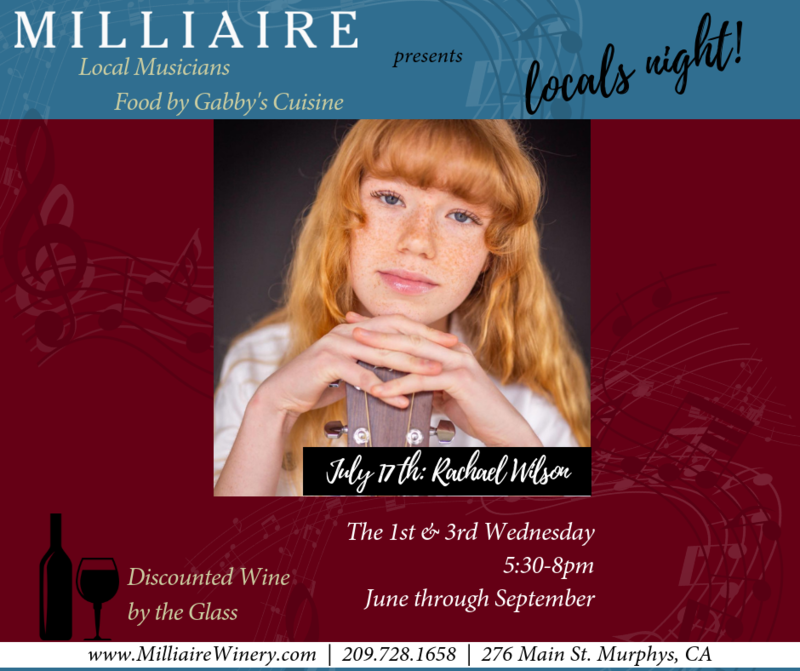 Join us July 17th for live music by Rachael Wilson! 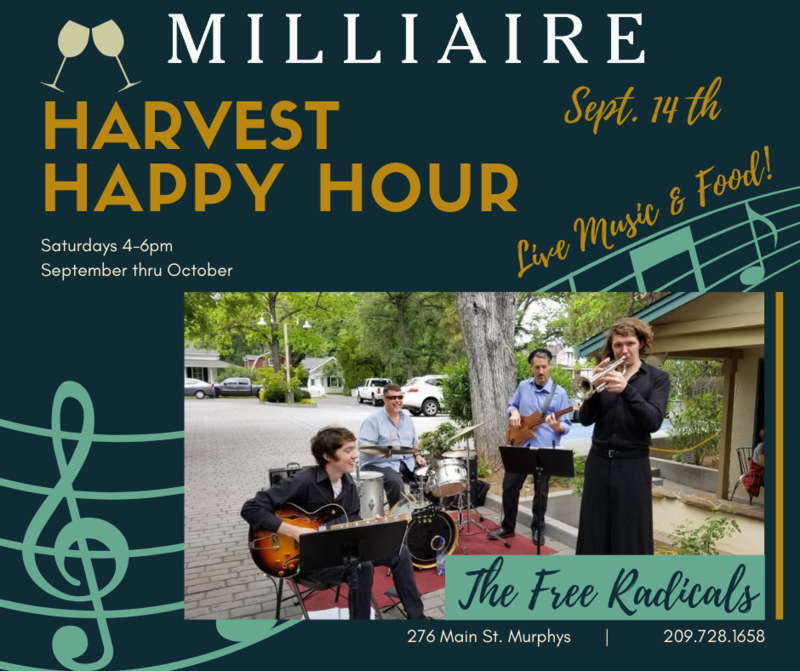 Join us in celebrating the start of this year's Harvest season! With the tanks empty and press sanitized, the Crush Pad for Milliaire and Black Sheep wineries is ready for its first grapes of 2019. 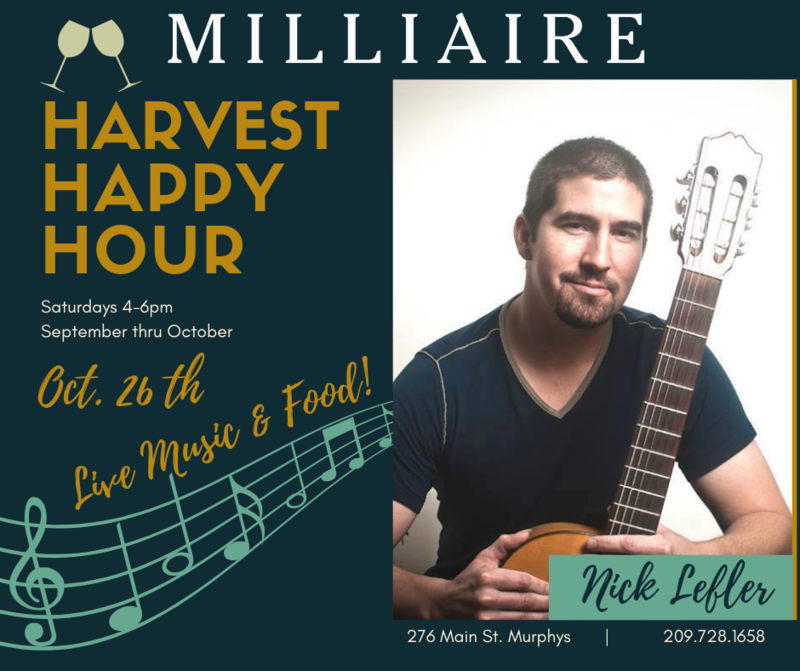 Before the madness of Harvest can begin... Let's gather where the winemaking magic happens and enjoy an evening of live music by NATE NATHAN along with a BBQ feast prepared by THE SMOKIN OAKIE! This event is limited to the first 50 people to RSVP. 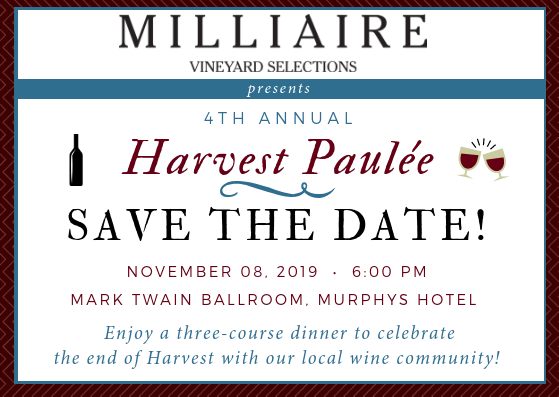 Tickets are $45 for Wine Club members and $50 for Non-Members (wine club ticket discount automatically applies at checkout). Visit our website or call (209) 728-1658 to purchase your tickets! Menu to be announced at a later date. 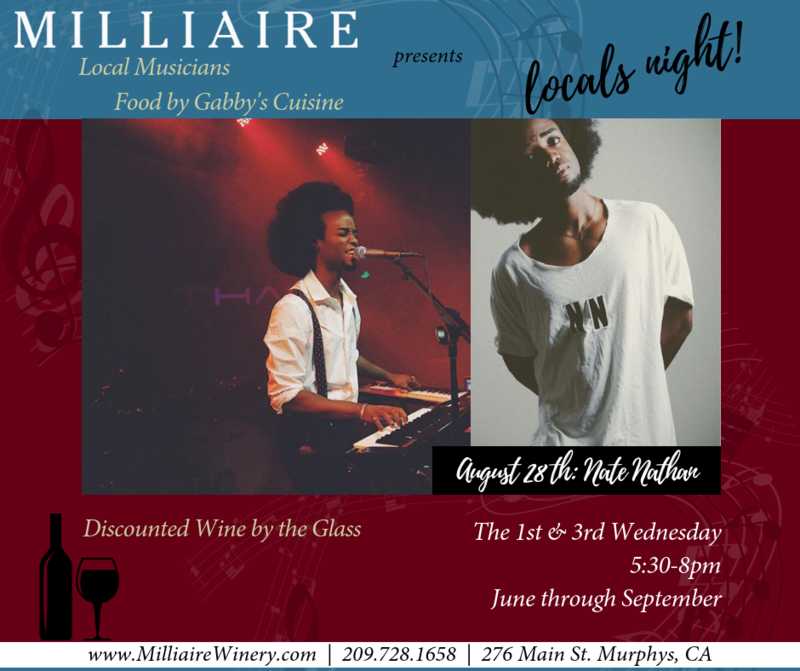 Attendees will receive a special price on wines purchased the evening of the event. 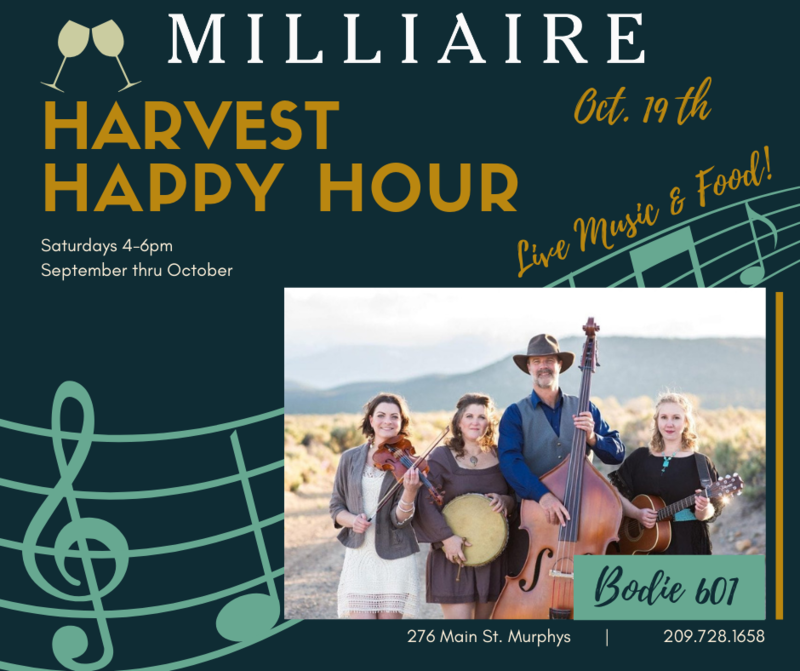 We look forward to kicking off Harvest with you! Our next Locals' Night is coming up soon! Join us August 14th for live music by Sambosa! 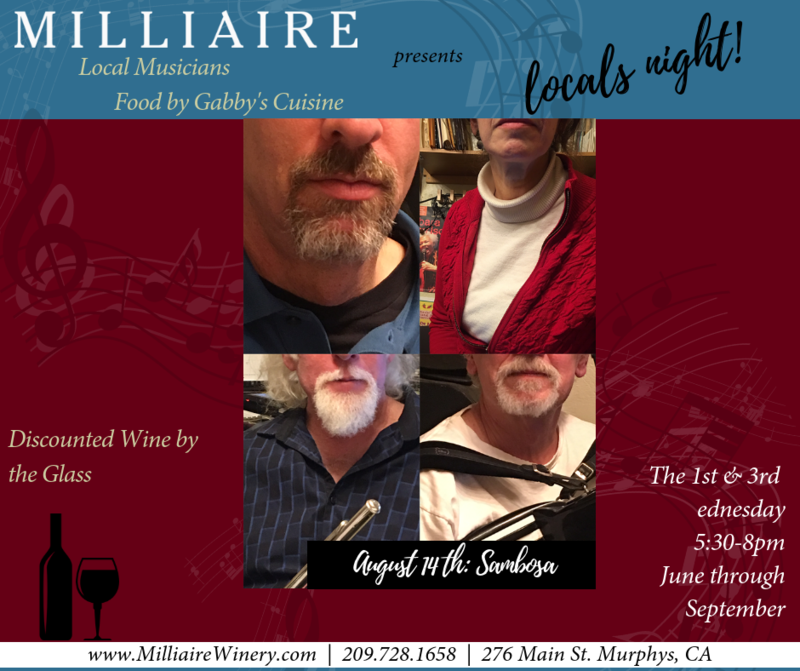 Our next Locals' Night is coming up soon! 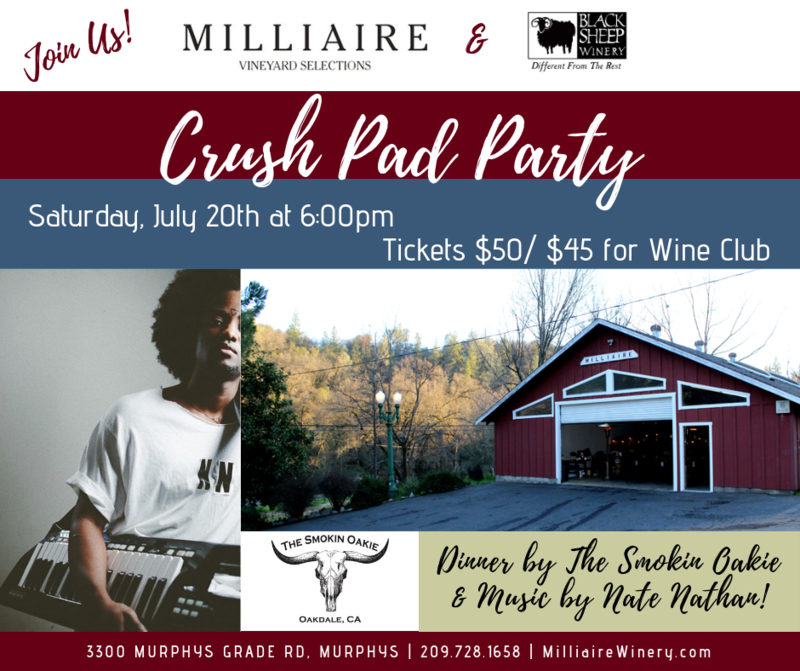 Join us August 28th for live music by Nate Nathan! 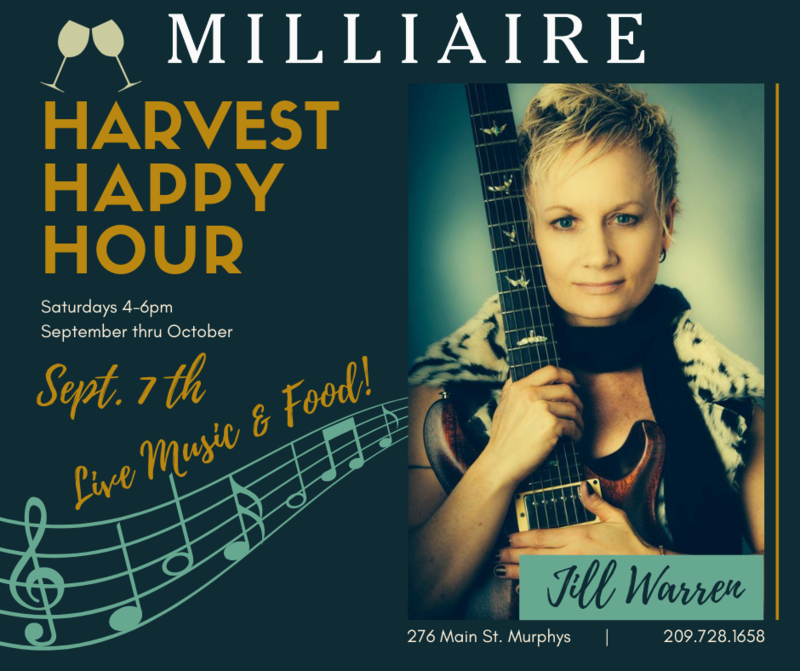 Enjoy a glass of wine on our creekside patio accompanied by live music featuring Jill Warren! 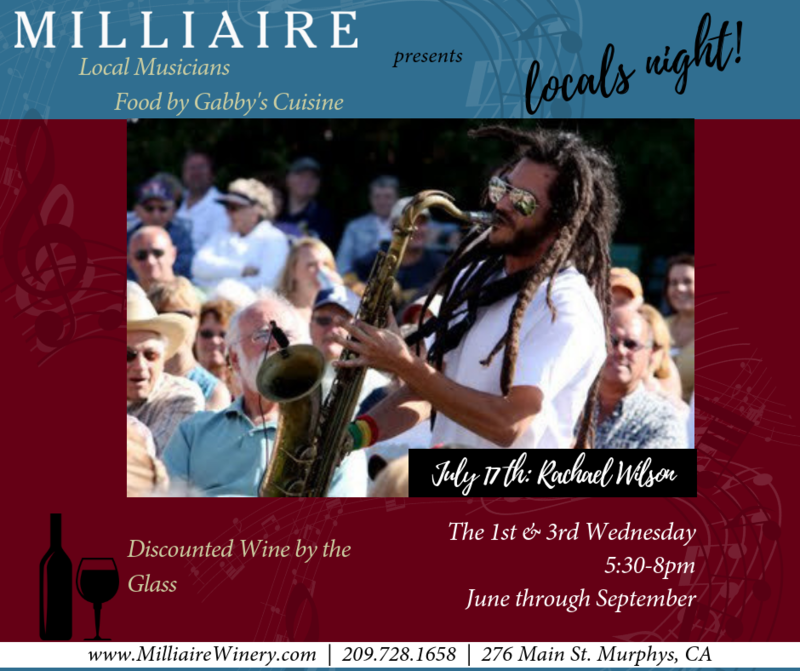 Enjoy a glass of wine on our creekside patio accompanied by live music featuring The Free Radicals! 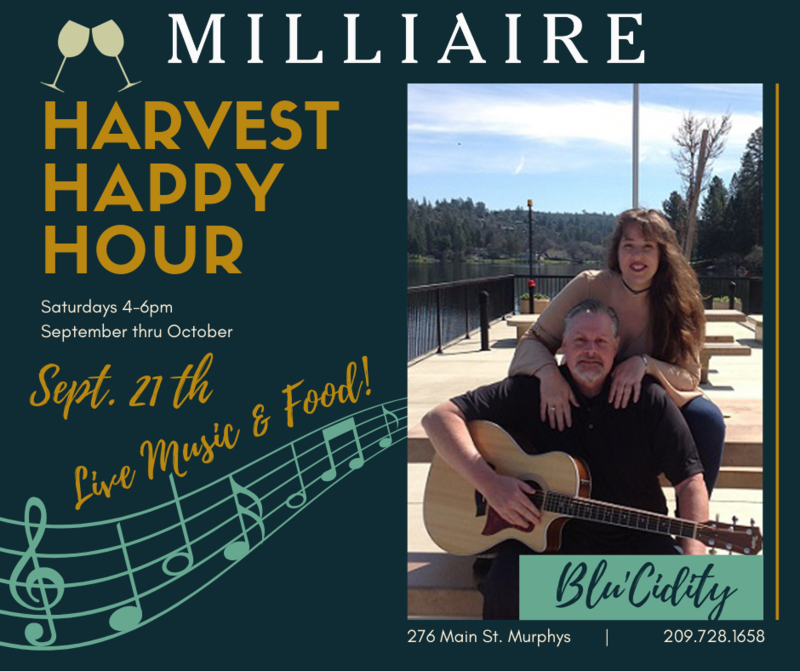 Enjoy a glass of wine on our creekside patio accompanied by live music featuring Blu'Cidity! 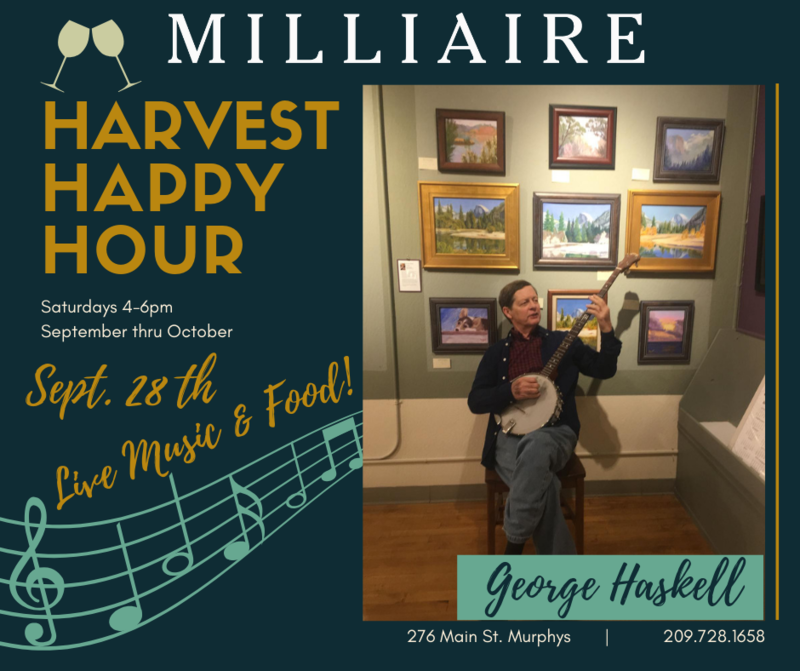 Enjoy a glass of wine on our creekside patio accompanied by live music featuring George Haskell! 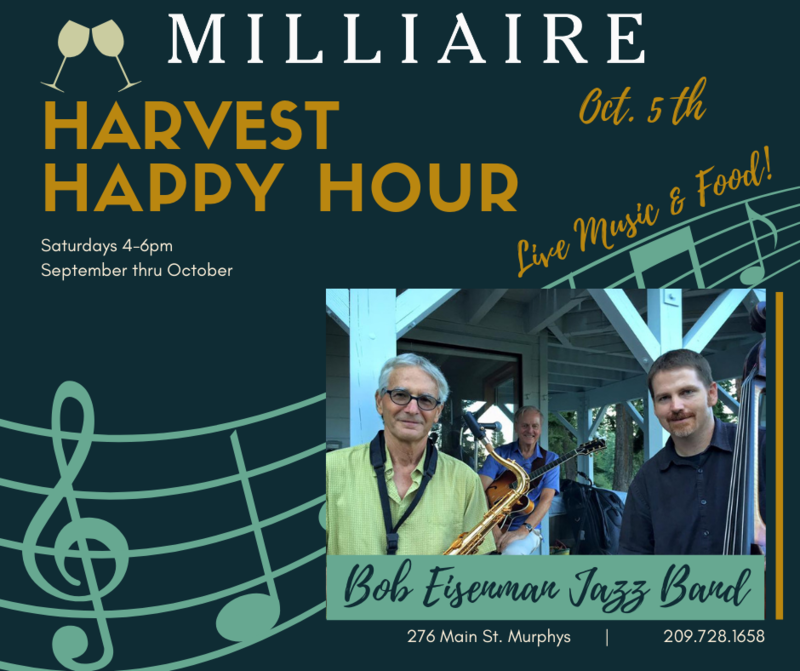 Enjoy a glass of wine on our creekside patio accompanied by live music featuring Bob Eisenman Jazz Band! 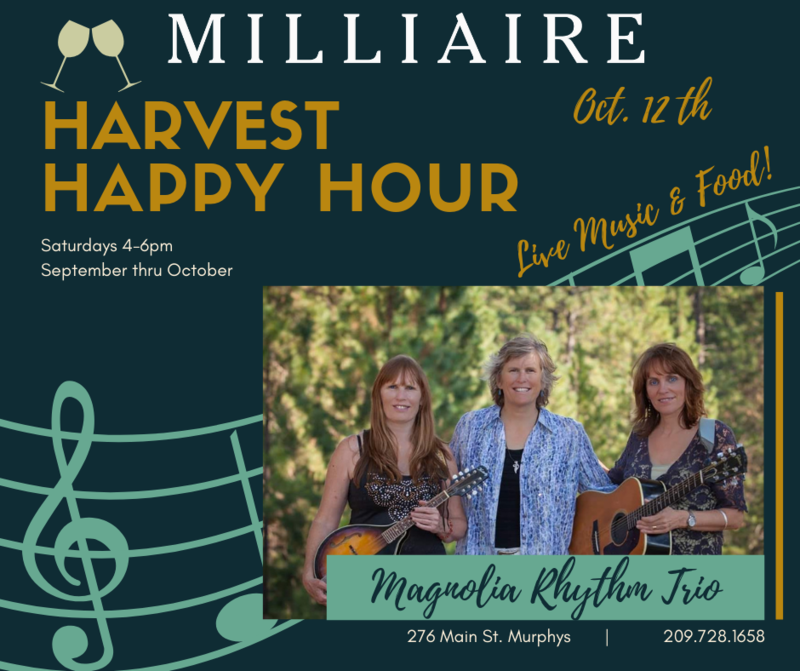 Enjoy a glass of wine on our creekside patio accompanied by live music featuring Magnolia Rhythm Trio! Enjoy a glass of wine on our creekside patio accompanied by live music featuring Bodie 601! 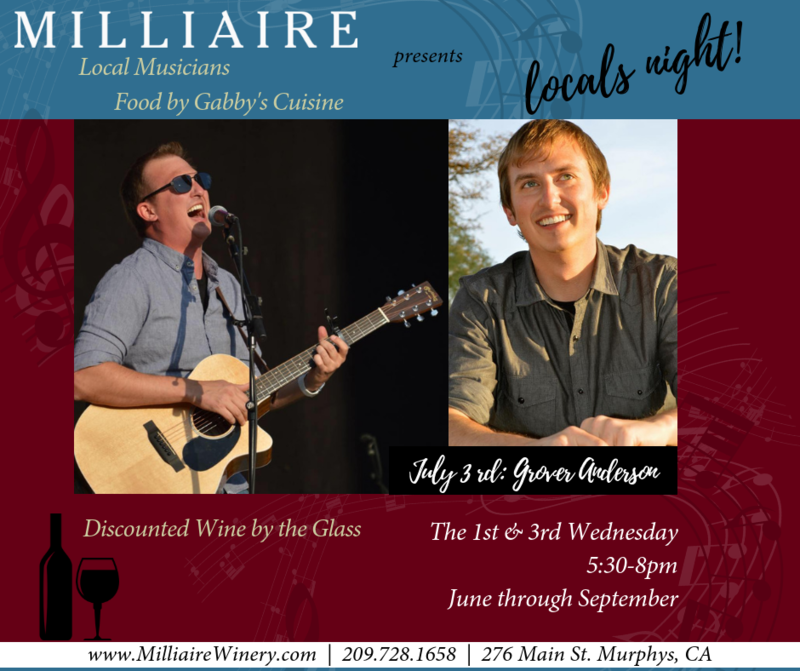 Enjoy a glass of wine on our creekside patio accompanied by live music featuring Nick Lefler!